Hello all! Today is the release of heavenly-roads.com 5.0! Now it's time to share with you the new things and features that I've worked on and what's going next. 5.0 brings the most well-looking design with a stunning final retouch remade from 4.0 design. A complete redesign on buttons, boxes, color palettes, improvements for browser devices compatibility, modules system, display and a better navigation where the main deal is focus my art content and features into a 100% compatible UI for future updates. A new redesign on colors and styles on the entire website. Now enough darker to contrast better with art content, removing also all unuseful blue colors and high contrast colors on UI to generate a relaxing atmosphere. Modules system added. Allows to have a page divided into separate internal files as different areas and use them through calls functions. The browser load time will be considerably reduced and cache will keep only the used data. Teamworks page is now updated into a new look that fits with the 5.0 main design. Compatible with the future user accounts system. A huge thanks to my friend ddemkoo who've made a redesign of Lightout 2 story page with an amazing interface for an easy reading of the story I wrote years ago. Thanks to visitors behavior monitoring I was noticed that some of them reaches dead-end pages, that's why global linkage is now working. This system based through links connects all secondary pages with the main page to avoid unlink pages navigation. Gallery added - showing the featured works on full view without jump to other tabs through links. Easy to use just by click to open/close. Some wallpapers not found on download fixed. Stuck loading screen bug fixed. Download content page updated for better navigation. Improved charge presentation on some pages. Performance has been improved by distributing the load into complementary modules. Website size 20% reduced, even with all new things added. Pop-ups functions has been added for future features and tabs calls. Updated forms functions for future features. 5.0 version ends the main trajectory of UI redesigns of my website. Now all updates and improvements are showing the best of them and I'm really happy that I got the right design at all, that's why I think the structure fits perfect for my kind of content and it will be ready to add future features. So that's why I'm looking forward to work on ways that people can interact with the website and don't just "look" - and this is one of the next steps for the website. Users accounts is a project that I'm working on. The main purpose of accounts will be give to the users new ways to interact with the website. This feature will bring new content on a massive way and also so many future updates related. Already compatible and working for users on internal private state. The goal is to work more on this and release as public feature in the future. Accounts compatibility with other websites. That was great, but stay tuned - there will be more content available on the website soon! Thanks for read, have an amazing day you all! Some of you know that I love animals and anthro related, that's why I want to share you 5 deviations of this topic - I hope you enjoy! Share your love, check out these artists and support them! Want to give a better look to your profile, journals, deviations descriptions, etc? Need help about how codes works? Just check out the codes that you need and let fly your creativity with the magic of HTML codes! I'm making this journal as an extended tutorial and as compilation of the most codes on deviantART in the most easy way to help all users who want to use the HTML codes. This journal is on continuous update adding more codes, so feel free to ask for add new codes that you need. Enjoy! Search using the shortcut buttons! Don't see what you need? Check other tutorials from awesome people! Remember! Delete all * when you paste the codes! heavenly-roads.com was created on 2016 with the main purpose to show all of my content around the web in the most easy and organized way. 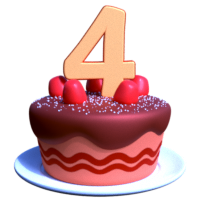 Now on the 4th anniversary since heavenly-roads was originated here, my website has two years of continuous updates, improvements and new features. Always looking for what users wants: something practice and enjoyable. The next content that you'll see is the result of two years of small improvements, time which I've spend learning so many things about web design and also had great time making it. Everything for you all. First, I have to thank my friend ddemkoo who was helped me with some things for my website, check out his content too! And now it's time to show you the final interface design version, the ultimate interface with all what we need. An interface that finally shapes heavenly-roads and all content on the most biggest update. Resources and wallpapers page was great, but now it has included a new sounds library. All sounds are free of copyright: I made them for my projects; so now it's your time for download and use them for free! Messaging apps are great to talk and meet awesome people, that's why I've created a new social media content area, where you can get Telegram stickers, gifs... and more content will come! Website is now even more friendly with mobile devices. Loading speed is now more faster than old versions. The new 4.0 interface design allows future expansion content. As the most of you know, I love to create easter eggs and secret content. So I hope the interested users have a great time finding the new secret content! heavenly-roads' website now has a stable interface design, but this is only the beginning; more features, content, resources, art and improvements will come with time. Thank you for read - thank you very much for all your support these four years of heavenly-roads. This is just a little thing that I can do for you as gratitude. As you know, I'm a very varied artist and this can bring some problems to deal with; most of people are interested on a focused content and I think some people don't see my content which will probably enjoy (due my non-interest content for them at first view). I don't know if you understand what I'm saying. Due this I had to rethink things; but I know delete most of my content and just focus in one is not the exit to the problem. As an artist, my mind is varied (maybe too much) and I can't focus in just a few things. When people watch / follow me on my web accounts, most of them wants content of their interest - and most of sites notify all my content, which probably not all is of their interest. I've designed my own website to keep an order with my content, I'm continue improving the site and next update will come with improvements to help people find their content of interest, among other things. I thought about create my own app and/or user accounts on my website where people will notified by the content they want, but I don't know if this will solve the problem on a totally or partially way. Other solution to this, at least here on DeviantART, maybe will be a watch option by specific folders - I know not all users need this, but it will be a nice solution for the artists who make varied content and for users who wants a notification about the content that they want. Of course, add this feature is DeviantART staff decision. This is not a urgent problem, but I think it's something important to keep in mind. I'm sure I'm not the only one who have this issue as varied content creator. Feel free to leave a comment if you've experienced something like this, have ideas or just want to share your thoughts! See you soon, have a great day! Hello all! Today I've setted two goals on my official Patreon page. I'm working hard on new content and new features entirely free for you, so it can be nice if you support me with a little money donation. I know not all of you have the enough money for donate others; if you can't it will be okay - but if each of you can donate just $1, you will make a big support to me. I know I have no right to ask for donations to anyone of you, I just let you choose if my content deserve a donation from you. The most important feature of 2018 is finally here. Introducing Teamworks to you - a group of people working together on different projects. Teamworks is a group of people who can work on projects from heavenly-roads. This group can contain varied types content creators: from beginners to experts - each one will help in what he wants to do; members who are music composers, others who are characters designers, testers, programmers, editors... unlimited skills and possibilities, but more important, members who love what they do. Teamworks main goal is that members can learn in what they wants to work, improve their skills and find interest. Teamworks members loves challenges and learning more, this is why Teamworks offers an opportunity to them for improve their skills and knowledge. Teamworks members will be shown on a list inside the Teamworks page on the official heavenly-roads website. Teamworks will never replace heavenly-roads; heavenly-roads is a direct representation to me (Jairo de Ara), Teamworks is the feature of the group of users who will support heavenly-roads projects, like videogames, short stories, shorts films... So, this means heavenly-roads will be shown on Teamworks as user and founder. But don't worry, I will continue to work by my own on daily art, characters and more as I always do. Teamworks will start on beta phase from June 22; sadly this will be a private feature for now. We will see how it works on the future and then we will make changes if we need to. It's a big pleasure to announce this feature. Thank you all, you've made this possible! Official website news - security certificate! Since the launch of my official webpage I've been worried about giving a good deal and protect my visitors' information. This is why now heavenly-roads.com has a SSL certificate. SSL Certificates are small data files that brings a cryptographic key to an organization’s details. When installed on a web server, it activates the padlock and the https protocol and allows secure connections from a web server to a browser. Typically, SSL is used to secure credit card transactions, data transfer and logins, and more recently is becoming the norm when securing browsing of social media sites. For now, heavenly-roads.com does not necessarily need this certificate, but in the future the website will contain more features that will need a minimum of security between user and server. And this is why by taking advantage with other updates I've decide to request a SSL certificate, until forever. Also, the website has already a speed up connection time more than 200%. Less waiting time! I hope you like those changes, see you later! After June 22 update of the official website, you will find the characters gallery category on the main menu. On the gallery, you will can see each character. If you hover the mouse on a character's icon the image will zoom and you'll see the name of the character. Also, each character has assigned a specific color for its personality: Friendly, Neutral and Hostile. This feature will contain all past and future characters. But also it has another cool thing; this feature will show the most recent characters of projects, this means that you will know the name, look and the personality of a character from a project before being anounced. In the future this feature can contain extended reference images of specific characters, also will can contain specific characters' sounds and more cool things. I hope you like this new feature, also tell me your thoughts about this! See you later, have a great day! Greetings everyone! I hope you're well. From June 22 the official website will has a lot of news inside, at this time I will talk about the new characters gallery - a site where is showing every original character* created; from the first one to the last one. All characters are showing, they come from official projects, personal projects and even from cancelled projects. This means that you will can see characters never seen before and the new future characters will appear automatically on the list. For now, the gallery contains more than 20 original characters which i hope you like them all. See you later, have a great day and thank you all for your support! *heavenly-roads' original characters gallery will not show any OCs by others, fanarts or commissions. Help wanted - graphic illustrators! support this artist if you like this content! Honestly I'm a bit tired to work on "big projects", I focused too much on that and I forgot to enjoy making spontaneous art to submit here like how it was time ago, without pressure. So, I had to choose and come back to what really make me enjoy. That's why I'm finally here, heavenly-roads started here, nearly about four years ago. That's why I have a very special connection with this site. Here I make art when I want, with no pressure, inside an amazing community. This is why if I want to spend my time I will choose this place. Those last months I learned more and I've improved my skills, so I'm exciting about what is coming this year on dA. I can't say surely what artworks are next, (you know my content is varied and random). For sure I'll work on more space art, art resources, photography and more. Now that I have a "decent" user level on Blender (3D software) I will be able to implement this on my artworks for a better finished work. For now I have to admin all messages on my inbox, retouch some things on my profile page and keep everything updated. Thank you all for stay here although there has been no activity from me the last months. Also thanks to new watchers, I hope you enjoy my content! Thank you all again, the wait is over - new art are coming! No more videogames for now. Some things are going worse than I've expected. I've started to work on videogames just for fun, but now I've noticed that all of this have a massive commercial problem. I do not want to disappoint anyone who wants to work on videogames, this is just what happened to me. The time, money and effort that I've spend on my last videogame is not balanced with what I've received in return. This is not community fault, this was my fault to trust that everything will go well. This wasn't difficult to choose; just no more games. I have a bad experience about how commercial entities works on games; nothing is really valued. Many people said that I'm a developer who wants to make easy money - actually I prefer to make free content for all people instead of spend my money to make commercial projects. I miss those times when I had ready a new space picture and users here just watch and enjoy it. No money spent on and no hate around. 2017 was the best year of heavenly-roads, but I have notice myself that all is not okay. It's time to talk face to face - time for a necessary notice. Unintentionally I have done something wrong, I'm talking about a big mistake from my own and now I will not mention myself as heavenly-roads. I will talk now as me, as Jairo. Since 2014 my purpose is make people enjoy with my works and projects, I want the enjoyment from the people, I want that much more than money incomes. I've created heavenly-roads and I'm working on this every day because I love it and love you all. During this time I've experienced happiness, sadness and much more feelings at the same time, that's why my content is too varied and "uncategorizable" at many times. All of this was made me to appreciate every moment, because as artist I can dump my feelings, memories and ideas into my art content. Making a video game inspired on another person the last year was a dangerous idea; maybe because some people is not ready, maybe some people don't know, maybe some people don't have an open mind, maybe some people just enjoy hating. The main mistake was on me although I've never hurt anyone trying to make something just for the people can enjoy. This is one of the things that every content creator must facing; not all will enjoy it, not all will understand it, not all will like it, not all will tolerate it. I maybe was too fast - since the end of year 2016 I was been experienced a big increase of content, features and expansion around the web. That was the problem, I had no time to admin all accounts because I was increase my content more and more, working on new features and planning the future. Not all was a fault, thanks to those years now I have planned a few things. I just want to say I'm sorry because I had not time for you all. I have 10 official accounts to admin, my website, all content to work on and also I have a life out of this virtual and awesome world. I will make the necessary changes to take the things more slowly and I will make for sure more original projects, better features, improved content and I will have time for every of you without any pressure. I'm exciting to show you all what is coming this year, 2017 was the best year for now, but I'll try to make this year even better. On June 22 I will launch a website update, this launch will contain a total redesign of the web interface to be 100% responsive on all devices, new content, features and resources. Also on the same date a new feature named heavenly-roads' Teamworks will come: a group of members who works together with me to launch more content for you all. To end this journal, I have to thank all people who stay with me, supporting and following my content. Also a big thanks to those members who make constructive criticism about my content, although they likes or don't likes. Thank you so much. I will stay here, I will keep making content for sure, forever - because I love do it. Buy Endless Inside on Steam! Endless Inside now on Steam! Jan Dolanský composed an awesome soundtrack for Endless Inside videogame! Has been a pleasure work together! Please, visit his Soundcloud page to enjoy all his wonderful songs and visit my website to hear all his songs of the game! The launch of the Endless Inside DEMO is being very exciting, I have great expectations on final launch. Some gameplays of Endless Inside from awesome people on Youtube! Al for now, see you later! Endless Inside videogame - News and Info! For the final release I have planned to submit the game into Steam. The price will be less than $9 but for now I can’t set a stable price. · 6 phases on story mode: free movement arround the map with survive mode at some points. · 3 alternate endings to discover on last phase. · Extras with characters’ description, option to re-play every phase and maybe more content. · Extra final puzzle to complete the game. If the game gets many support and many positive votes maybe I will continue to add more content to enjoy (not paid after the first purchase). There's some things to work on, but all is going by the good way - I will try launch the game before Christmas. I'm very grateful and very happy to see this project on a progressive evolution. Thank you all! Jun 18, 2018 Official website news - security certificate! May 29, 2018 Help wanted - graphic illustrators! Apr 29, 2018 I'm back finally. Apr 28, 2018 No more videogames for now. Nov 21, 2017 Endless Inside now on Steam! Nov 10, 2017 Endless Inside videogame - News and Info! In case you want ! !